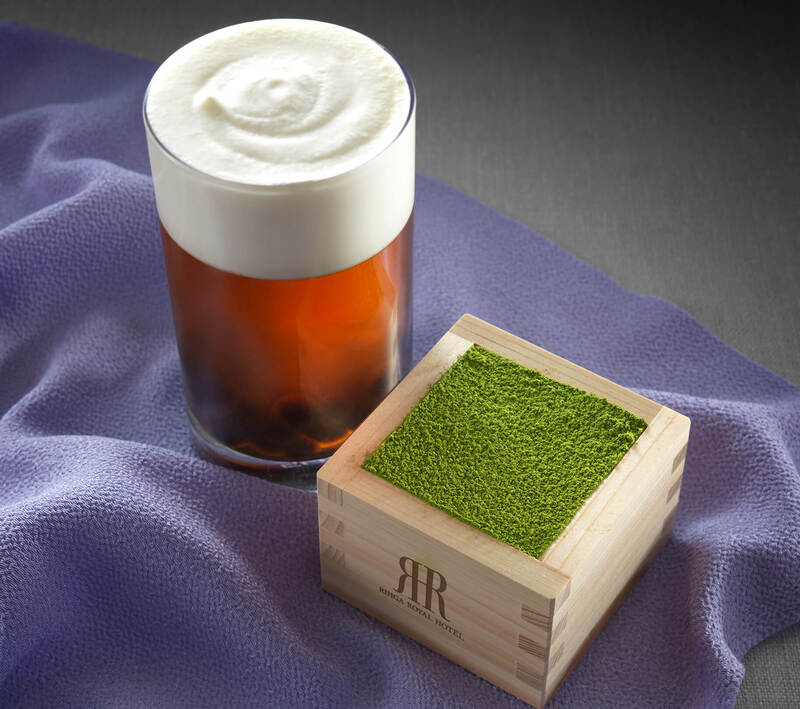 The RIHGA Royal Hotel Osaka is bringing a colourful tea themed dessert buffet to its Remone restaurant and bar annex this spring. It will run on Mondays, Tuesdays, Fridays and weekends from May 10 to June 18. 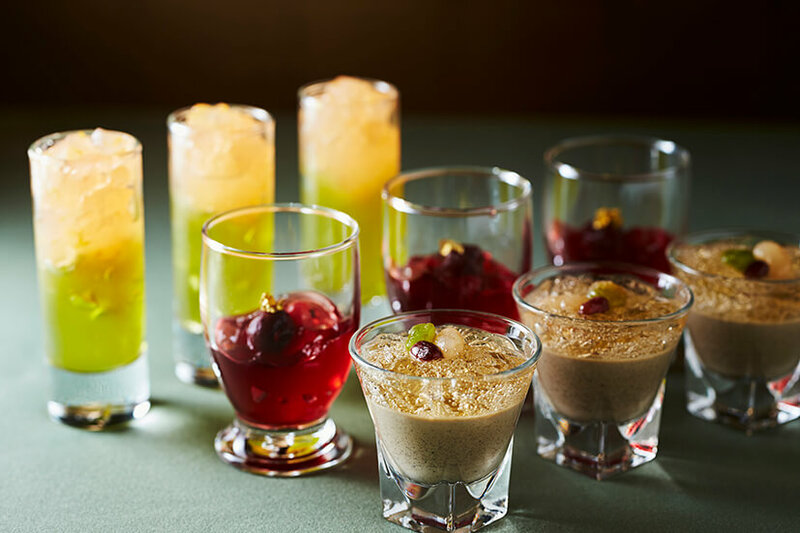 This will be the second time the hotel has held this event.​ Around 25 desserts and 15 light meals will be served all flavoured with various teas, mainly yamecha but also matcha, sencha and houjicha too. As a welcome dessert, you can look forward to a rich yamecha flavoured tiramisu which comes with kaga-boucha cheese tea. 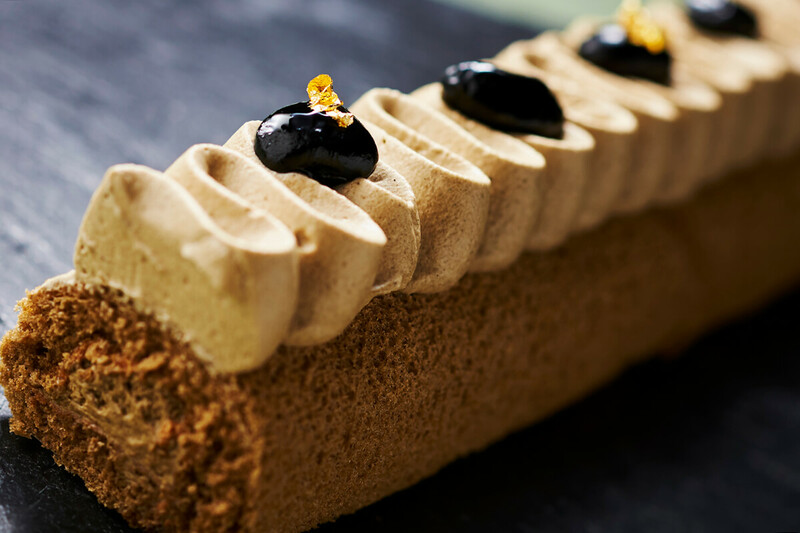 The tiramisu sponge is soaked in yamecha syrup and thoroughly covered with yamecha powder to elevate the tea flavour even more. The cheese tea comes with black chewy tapioca. It’s made first with a mascarpone cheese cream and flavoured with kaga-boucha. Mix to combine three delicious flavours. 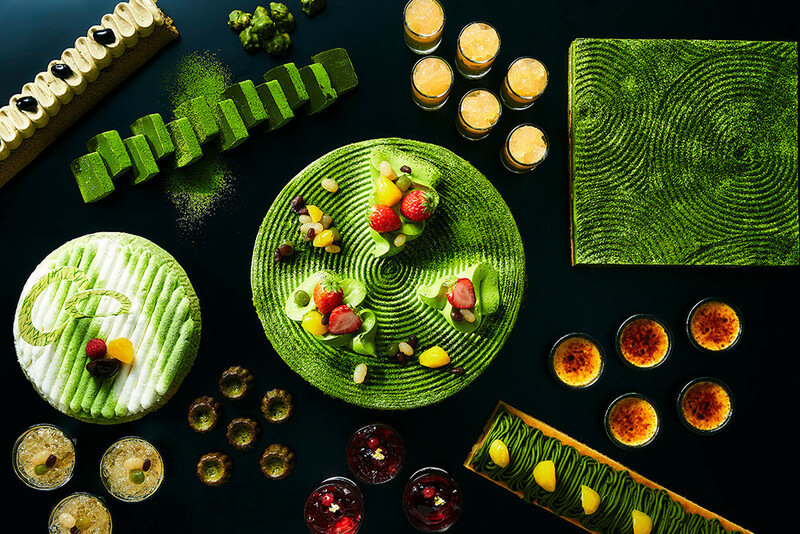 The buffet will look like a tea farm as you attempt to choose which to dig into next: the matcha shortcakes, houjicha roll cakes, houjicha panna cotta with ginger cider jelly―the list goes on. 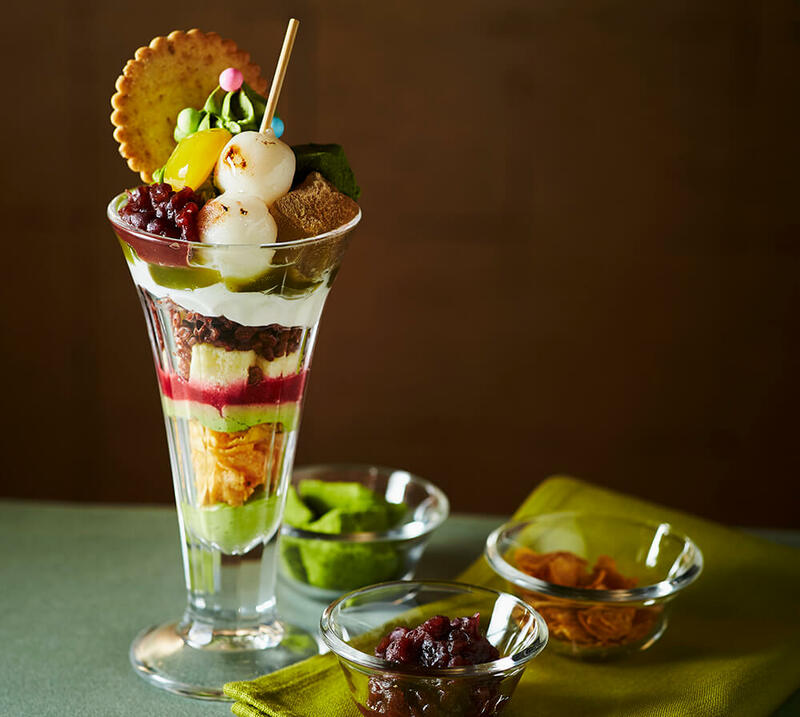 The matcha parfait lets you put on whatever toppings you like. It comes with adzuki beans, skewered rice dumplings in a sweet soy glaze, warabimochi, and more. 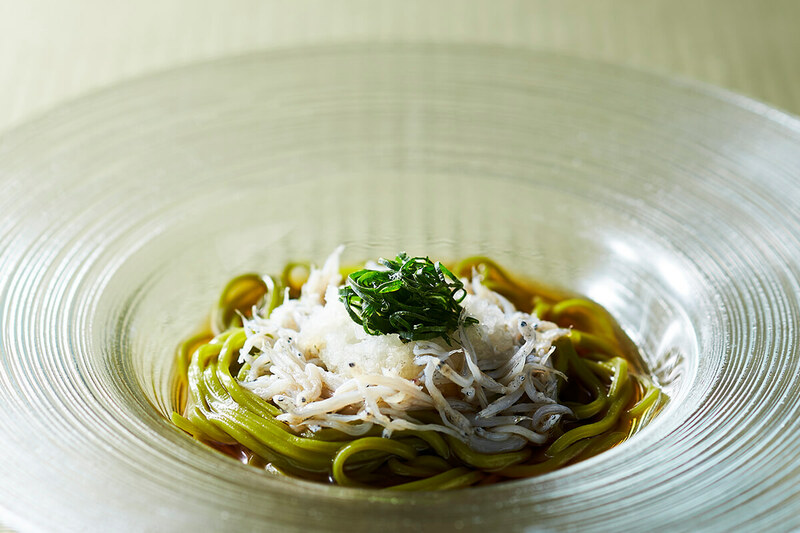 Light meals include tea soba noodles with whitebait caught in Suruga Bay, green tea rice porridge, a tomato, chicken and veggie hot pot, a focaccia sandwich filled with finely chopped cookie vegetables, meat and egg, and so on. If you love tea, you’ll love this tea soaked food buffet. *Children aged 3 and under can enter for free for every one adult. Keio Plaza Hotel, Tokyo opens My Melody and Kiki & Lala-themed guest rooms! 6 of Japan’s must-try green tea-flavoured sweets and drinks!